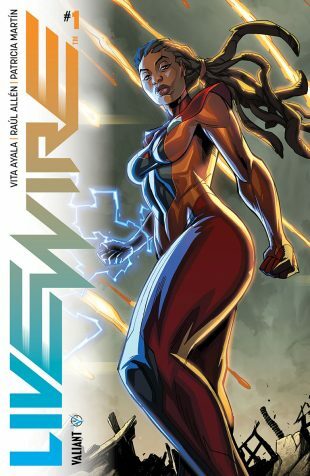 LIVEWIRE: Valiant’s Most Anticipated New Title Expands to Ongoing Series with LIVEWIRE #1 this December! 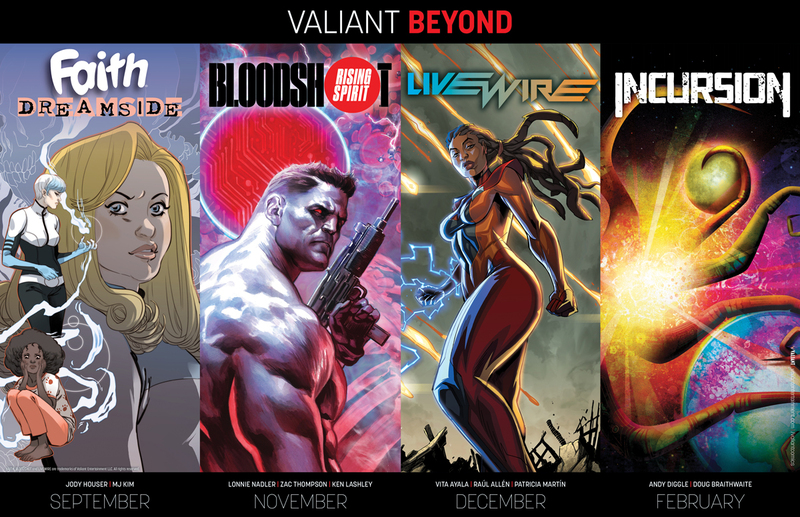 As first revealed at Comic Book Resources, Valiant is excited to share that LIVEWIRE – the most exciting new launch of the publisher’s “BEYOND” initiative – has been expanded from its previously announced limited series run into a full-fledged UNSTOPPABLE ONGOING SERIES! Arriving in stores this December from Vita Ayala (Supergirl), and the artistic team behind the best-selling SECRET WEAPONS series, Raúl Allén and Patricia Martín, LIVEWIRE #1 will begin the character’s first ever solo-led series in the history of Valiant Comics… and will send the technopath known as Amanda McKee down a devastating new path of heartbreak and heroism! Once, Amanda McKee knew her purpose. She wanted to wield her machine-manipulating powers for the good of humanity, to protect other superpowered people like her…and time after time she faced betrayal from mentors, colleagues, and even the U.S. government. Now, in the wake of the worst disaster the country’s ever faced – one that was directly caused by her hand – Livewire must decide for herself what kind of hero she will be…if she’ll be one at all. In the wake of hotly-anticipated Valiant BEYOND titles like FAITH: DREAMSIDE #1 in September andBLOODSHOT RISING SPIRIT #1 in November, LIVEWIRE #1 will launch the critically acclaimed publisher out of 2018 and into the new year with an unforgettable BANG!